In the late 20th century, there has been a rethinking of the whole concept of development, including a growing awareness of its gender, cultural and environmental dimensions, and the impact of globalization. 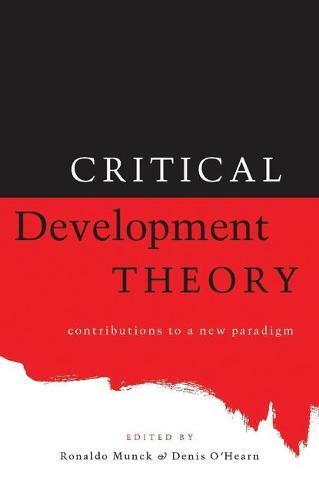 The contributors to this volume seek to extend these debates to a more fundamental level, tackling such issues as the crisis of development as an intellectual and practical project, the need for a break with development as a Eurocentric concept, and the viability of alternative, non-Western forms of development. The contributors aim to transcend critiques of development which simply engage in a blanket dismissal of the whole enterprise and instead offer ways of re-engaging with reality that, despite globalization, is still a dimension of the late-20th century.